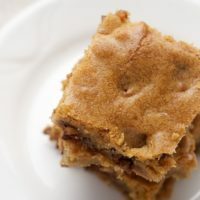 This quick and easy Brown Butter Skillet Blondie uses just one skillet for browning the butter, mixing the batter, and baking! Such a fun treat! My love of brown butter is well documented here at BoB. It’s such a simple way to add wonderful, rich flavor! 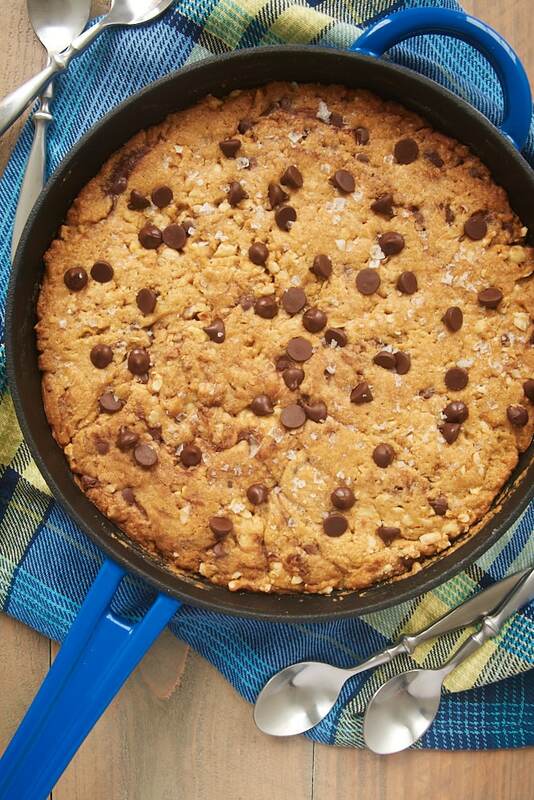 And it’s super simple to do that with this Brown Butter Skillet Blondie. 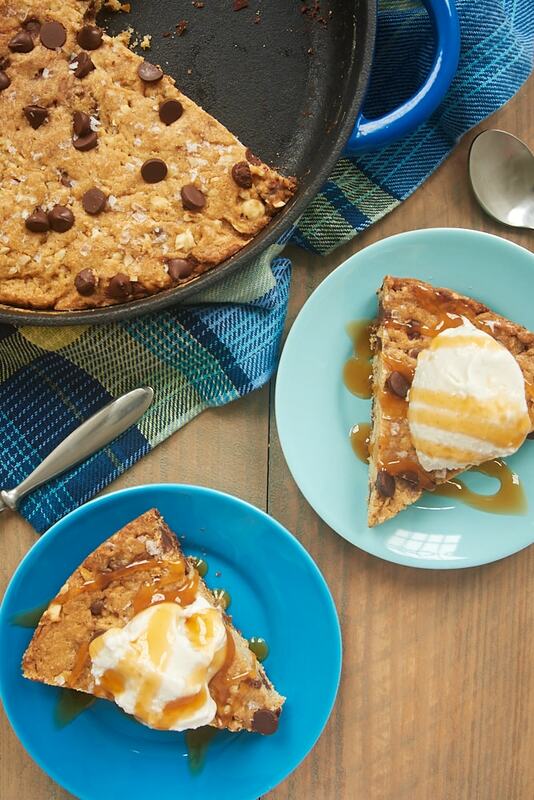 This quick and easy dessert mixes all in the skillet. Use the skillet to brown the butter, and then just keep mixing everything in the skillet. 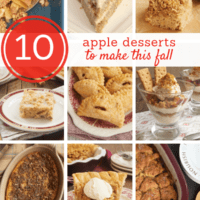 (No mixer required!) Then into the oven it goes! Add the brown sugar to the butter while it’s still hot to create a melty, caramel-like mixture. After that, you’ll need to let it cool for a bit before you start adding the other ingredients. There’s not a lot of extra room in there, so be a little gentle when mixing so you don’t make a mess. This is one of those recipes that’s infinitely adaptable. You can use whatever add-ins you like. 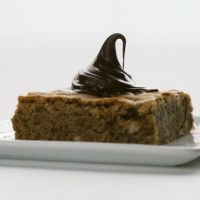 I most often reach for some chocolate chips and nuts for a classic flavor combination. 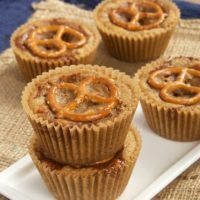 But it’s so easy to add whatever you’re craving or even those ingredients odds and ends in your pantry. And I can’t resist a little sprinkling of coarse salt over the top for a salty bite. 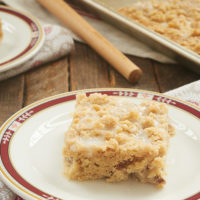 Serve this blondie unadorned for a simple sweet treat. 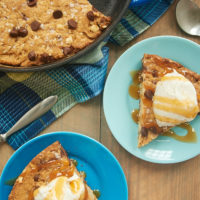 Or top slices of it with a scoop of ice cream and a drizzle of caramel or chocolate for an all-out dessert experience. Or just grab some spoons and let everyone dig in! 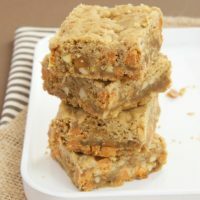 Find more blondie recipes in the Recipe Index. 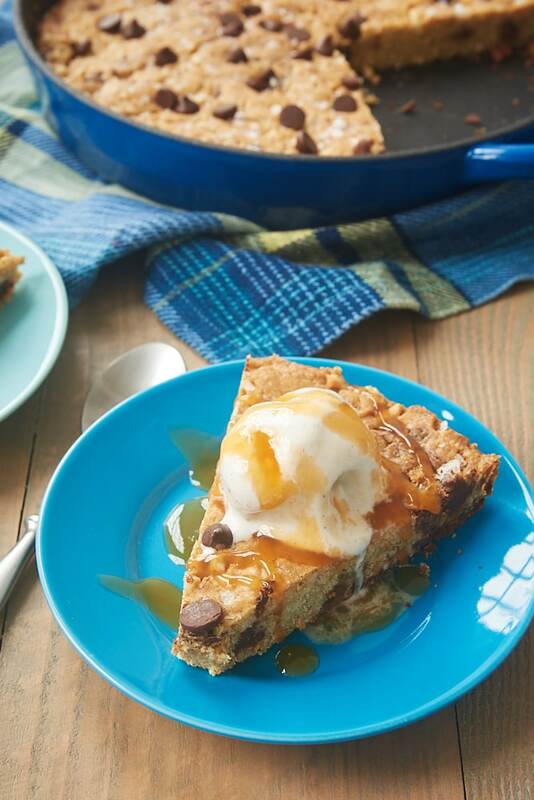 You only need a skillet and a spoon to mix and bake this quick and easy Brown Butter Skillet Blondie! Place the butter in a 10-inch cast-iron skillet. Cook over medium heat until the butter melts and begins to foam. Remove the pan from the heat. Add the brown sugar, and stir until combined. Allow to cool slightly. Add the eggs and vanilla to the cooled butter mixture, and stir until combined. Stir in the chocolate chips and nuts. Spread the batter evenly in the pan. If desired, sprinkle the top with a pinch or two of coarse salt. Serve warm with ice cream and caramel or chocolate sauce, if desired. If you prefer, you can transfer the brown butter to a mixing bowl and mix the batter in that bowl. Then just transfer the mixed batter to the skillet and bake. YESSS, brown allll the butter! My skillet is 10 1/2”. What adjustment in the baking time should I make for the wider pan? It probably won’t make much difference, but you might start checking for doneness a couple of minutes before the suggested baking time. I loved making this in my cast iron pan (which turned out to be the size needed after all). BUT, I made one big mistake. The batter was not cool (or cool enough) when I added in the chocolate chips so they melted and I wound up with a brown butter chocolate brownie instead of the blondie. There was nothing wrong with the end result but I had been looking forward to a blondie with chocolate chips. No worries though; now I have a reason to try this again (very soon)!!! Oh, no! Well, it’s certainly not the worst that could happen. 😉 If you want to speed up the process, you can transfer the butter to a bowl to cool and then mix the batter to return to the pan. The warmth of the skillet slows down the cooling, so that would save you at least a few minutes. I am making this, right now. I substituted butterscotch chips and walnuts, with pink Himalayan salt on top( just a bit). Anxiously waiting! Love the sound of that flavor combination! Enjoy!